The UK’s first amphibious house passes the float test with flying colours. Water from the neighbouring Thames was pumped into the dock in order to float and balance the concrete hull of this groundbreaking building. 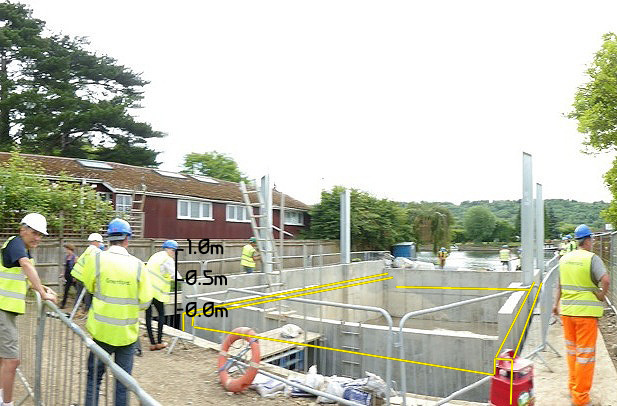 The float test was recorded on camera for a forthcoming TV show of the pioneering design, located in Marlow. Members of Baca and the engineering team from Technicker watched as the dock in which the house will rest was filled with water to simulate flood conditions, and the concrete hull the building will rest on tweaked, to perfect its balance and test the waterproofing. The amphibious house is scheduled to be completed this autumn.